Currently, they are preparing 101 dresses and 17 pairs of shorts to go to Belize next week. Other items will be going to Houston in June. In July the group will bring together materials for Appalachia. Elaine says she is passionate about getting this new ministry going. If you are interested in helping you can contact Elaine Belflowers at 502.681.3289 or erbelflowers@bellsouth.net. It is a wonderful group of creative ladies and so much fun to be with. 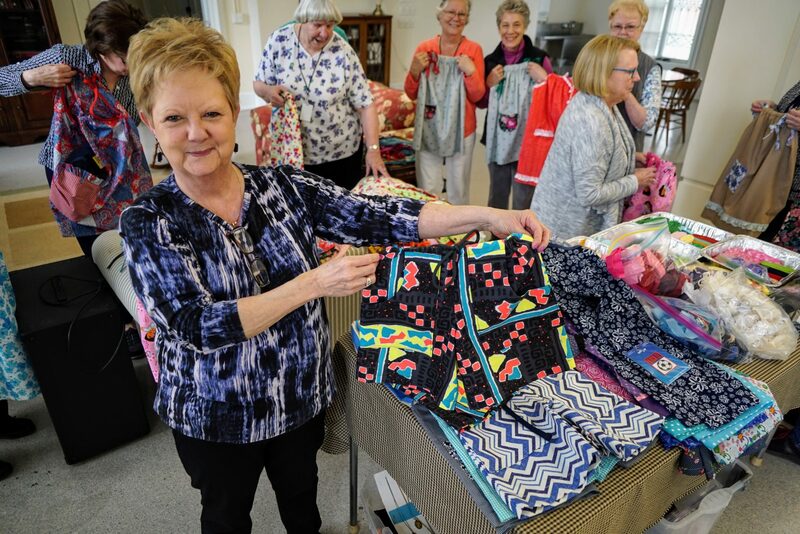 If you can’t sew and you would like to participate in this ministry you can donate money to purchase supplies so we can work together to make these cute and very practical garments.